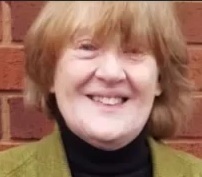 Further to my 2 recorded delivery letters last week to you at your Globe House address as promised I forward here more relevent links pertaining to the abhorrent persecution of one Ms. CAROL WOODS, of 28 Fell View, Caton, Lancs., LA2 9RP by Lancs. police, and the Lancs. County Council, and connected parties. Lancs. police clearly breach Article 8 by having had this tracking device installed in Ms. Woods car, and they breach the Data Protection Act by not stating proper and relavent information to Ms. Woods regarding why this device is there in the first place. This, what can only be described as an extremely questionable force hide behind the ridiculous term of "covert police tactics" being used to justify this breach of Ms. Woods human rights [ECHR], and the Data Protection Act. Despite paying the appropriate fee relating to an official F.O.I.A. Subject Action Request at Lancs. police's Hutton, Preston HQ in January 2017 Lancs. police blatantly refuse to furnish Ms. Woods with the information she has paid for and is perfectly entitled to - this is just another irregularity performed by Lancs. police to cover their tracks connected to blatant crimes they are responsible for. I complain most forcefully to you regarding the bizarre and often criminal actions by Lancs. police committed against Carol Woods - particularly regarding having this device installed in Ms. Woods car. Please see to it that a satisfactory outcome is achieved regarding getting an explanation from Lancs. police as to the real and actual reason this device has been illegally installed in Ms. Woods car to justify these so-called "covert police tactics" as Ms. Woods is no "jihadi terrorist", nor is she a member of any organised crime cartel. What's more, this lady probably has more qualifications than you yourself have, Ms. Williams, when it comes to caring for members of society, and, indeed, the same can be easily be said for these characters in Lancs. police and the county council who are responsible for so many crimes against Carol Woods - those crimes enacted within the ID frauds Lancs, police refuse to investigate connected to Ms. Woods identity, along with many more, including the comprehensive gangstalking taking place enacted against Ms. Woods by Ms. Woods neighbours with others who are rewarded for their criminal actions, probably from the public purse aided and abetted by Lancs. police. And I'm not even going to mention how Ms. Woods home was stolen from her, or police officer PC Massingham's perjury, or the fake hearings where Tracy Kennedy impersonated a police officer, or Lancs. police's altering of official police records [see below], or the forgery of Carol Woods signiture on official documents by UK Government officials, or the DWP frauds, or the continual Royal Mail irregularities whereby Ms. Woods Royal Mail is deliberately misdelivered to criminal neighbours who use the ID gleaned to enact ID frauds which Lancs. police refuse to investigate, or a lot more which can be found within the updates Carol herself authored in the posts I have been showing here since Febuary 2016: https://butlincat.com/?s=carol+woods. Meanwhile, here is the post with the details referring to the illegal GPS tracking device - even how it got to be in the car with the input of Lancs. police! thing after being informed about this tracking device and show the utmost contempt by telling me, when I phone, that my contact with them will probably be rejected by their tribunal. This was actually told to me and noted particularly well when I had to call them after not hearing from them for some time after sending in their forms, filled in, with numerous pages of data qualifying what I had sent in. All that happened when I contacted the IPT, after being told to in 3 seperate letters from the Home Office, was that I was majestically messed around! Too outrageous for words, but all part of the plan to keep the crimes against Carol Woods well covered up, and away from any kind of justice. Fact! J. Graham - concerned citizen, on behalf of many, whose duty it is as a UK citizen to notify the relavent authorities regarding past, present or potential crime[s] in order to keep our society as safe as possible..
“The UK vehicle tracker laws fall under the category of processing personal data and accordingly, it is governed by the Data Protection Act 1988. In order to ensure vehicle tracking legality, it is vital that organisations maintain a vehicle tracking policy that is fully transparent and compliant with the Data Protection Act. “I have asked specifically for the data in relation to PERMISSION for GPS sought and then gained, and paid £10 but received nothing. I TOOK my £10 in Jan 2017 after asking if I needed to pay £10 via data.protection@lancashire.pnn.police.uk Jan this year, it was acknowledged as received as I drove all the way to HUTTON HQ, to deliver it (I asked them to formally acknowledge receipt) as well as getting a receipt there at the front desk”. Therefore Ms. Woods has applied for the information regarding the tracking device in her vehicle, but not received any information in return – an extremely serious irregularity. Can you please remove this device from Ms. Woods motor vehicle that is clearly falling foul of the statutes in place – those being the Data Protection Act 1998 and the Article 8 of the European Commission of Human Rights? I write to all yet again regarding the serious crimes - including many ID frauds using Carol Woods name, using documents deliberately misdelivered by R Mail postmen to criminal neighbours at Ms. Woods location - continuing wholesale in Caton, Lancs - with the Lancs. police doing nothing about any of the serious cimes reported to them by Carol Woods herself, and myself [to a greater or lesser extent]. It is totally unacceptable that again I have to fork out for the Recorded Delivery fee to send a letter to Lancs. police to chase up letters they ignore regarding their outrageous behaviour - in this instance the altering of official police records. In the posts and in the archive linked, Carol goes into greater detail regarding what she is having to experience from those around her, all with, it seems, the full cooperation and assistance of the local authorities who command the numerous crimes and the actions of the numerous lowlife stalkers she is surrounded by. Not only do these nightmare neighbours she is surrounded by steal her landline telephone and internet delivery lines running into her house, and misuse it on an almost daily basis by the lines being previously diverted to their more than likely ramshackle homes, they also steal her electricity too when they can [when Carol switches it on], and much more. Carol can hear her neighbours testing their electricity sockets after she has turned her power on from the main switch in her home. For this very reason her electricity supply is having to be almost permanently switched off for fear of it being hacked by these criminal neighbours, she lives by candlelight and she has had to live electricity free in her home for years because of these lowlives’ thieving alongside her home – many of them doting and ageing pensioners who steal her services because they can and do not get criminally charged with anything – courtesy of the fake authoritarian figures in place who should be in prison rather than be sitting pretty in a government office somewhere, local or otherwise. Fake IDs used by so many – if not all – of Carol’s criminal neighbours pay for many things through fake bank accounts, the money all ultimately coming from the UK taxpayer – the general public, as are the new cars given as rewards to certain neighbours paid for the same way – the road tax etc for these cars also paid for by the UK public, as are the numerous “Blue Badge” schemes many of these cars are concessioned with – all registered via false details but paid for out of the public purse. Authorities do nothing when told about these scams – how much longer can these outright crimes continue? “Harassment as punishment for whistle-blowing: Lancashire” http://www.criticalreader17.blogspot.ae/2017/02/harassment-as-punishment-for-whistle.html. Scroll down for numerous posts since Febuary 2016 relating to Carol Woods when supporters protested enough to get her removed from a mental hospital unit she’s been placed in…for the 5th time. Or put the words “carol woods” in the search box on this page to view the posts. FAIR USE NOTICE: This video may contain copyrighted (© ) material. Such material is made available to advance understanding of ecological, political, human rights, economic, democracy, scientific, moral, ethical, and social justice issues. This constitutes a ‘fair use’ of any such copyrighted material as provided for in section 107 of the US Copyright Law. In accordance with Title 17 U.S.C. Section 107, this material is distributed for analysis, commentary, educational and intellectual purposes. In some cases comedy and parody have been recognized as fair use.